The academicians were invited to the first 'Nanyang academician experts' homeland travel' event, where they took part in forums, conferences, and toured some of Nanyang's key enterprises to learn about the state of development of various industries. Some of the guests were led on tours of Wolong Electric Nanyang Explosion Protection Group, Nanyang Jinguan Electric, Lucky Huaguang Graphics, Nanyang Textile Group, and other companies. Visits to smart manufacturing demonstration projects, new energy bases, and traditional enterprises undergoing smart transformation showed them new progress Nanyang has made. The experts urged enterprises to fully explore their comparative advantages and attach importance to independent innovation. They also underlined the benefits of cooperation with universities and research institutes, as well as in partnerships regarding technical exchanges and product research and development. 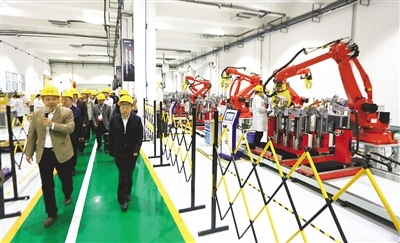 They also advised Henan Costar Group, Nanyang KaiXin Optical & Electronic, and Huaxin Optical to further improve the level of automation, extend their industrial chain, and expand their industrial agglomeration efforts. Talented technicians and operators should be attracted. The industry will have brighter prospects if applying advanced sciences, an academician explained. 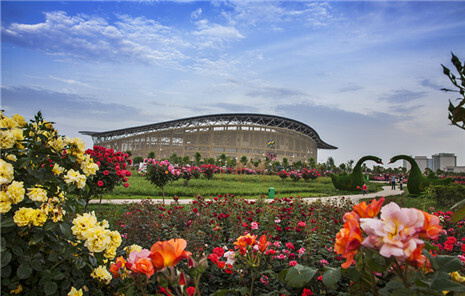 Participants also learned more about the current state of e-commerce development in Nanyang after touring Henan Bulk Farm-Products Trading Center and Nanyang Wolong Comprehensive Bonded Zone among other sites.